According to a new report from Cerulli Associates, 45 million U.S. households are expected to transfer $68 trillion over the next 25 years. Previous reporting from Boston College estimated $40 trillion in transfers over the approximate same time period. Another important finding from Cerulli: 70% of the amount transferring to heirs and charities will come from Baby Boomers. And while the majority of estates transfers are one-time events, there is wealth being transitioned over time. This makes sense since people are living longer and fuller lives and parents and grandparents want to experience in their lifetimes, the joy of seeing their beneficiaries benefit and learn from family wealth. There’s a real risk to wealth management firms of losing the inheriting generation unless they take action now. 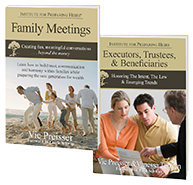 At the Institute for Preparing Heirs, we’ve been training and equipping advisors to move the conversation from money matters to family matters with real strategies and actions to deepen client family relationships, attract new client families, and become a new resource to other trusted advisors who work with successful families. We've been offering our "new gold standard" workshops for nearly a decade. Firms that effectively prepare their advisors to engage the next generation of inheritors will likely retain the greatest share of assets in motion in the coming years—and are in a position to grow with new assets from firms that are content to continue to do business as usual. Our experience tells us that generational wealth transfer training is one of the best investments wealth management firms can make, no matter how well established their current advisor/client relationships are. Most senior wealth advisors are highly competent at managing their clients’ money. What advisors often struggle with is having that same level of competence when advising clients on non-financial issues that directly impact the family’s financial future . . . beyond the money. 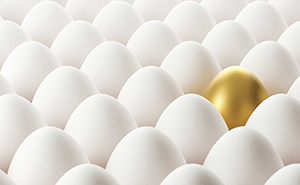 Advisors that have access to tools and resources families can use on their own or with the guidance of the advisor, will differentiate themselves from competitors. Our experience also has shown that advisors who undergo some level of generational wealth transfer training are far more likely to engage successful clients in inheritance conversations. Engage the parents in these important conversations and they will engage their children, who will then engage you as their trusted family advisor. 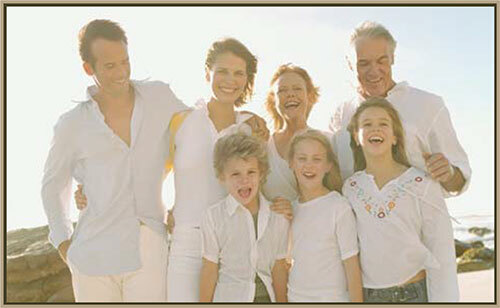 Learn more about workshops offered by the Institute for Preparing Heirs. Where to Suggest Clients Hold a Family Meeting?